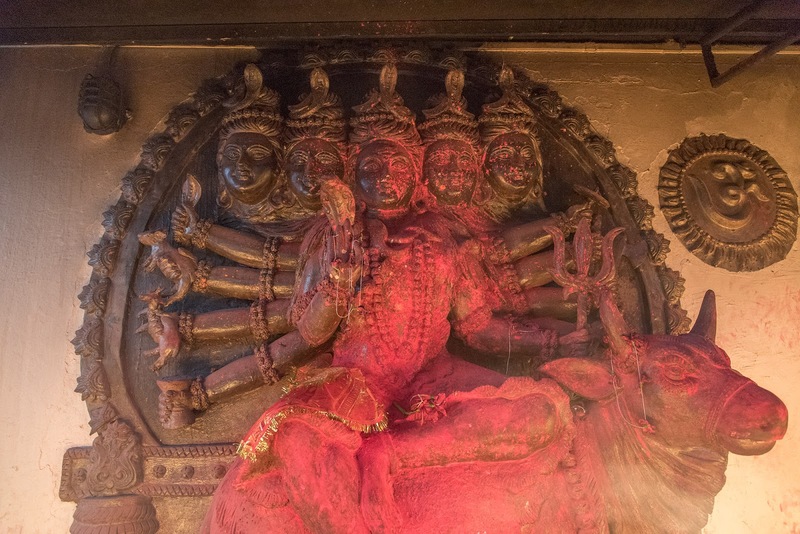 Kamakhya temple is one of the main religious sites in Assam. 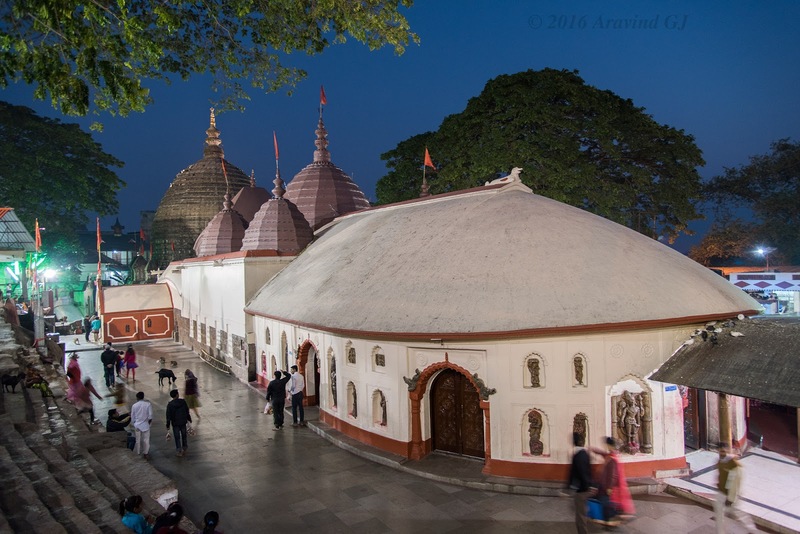 Situated on top a hill in Guwahati, it is a complex of individual temples dedicated to mahavidyas (Ten aspects of Parvati). 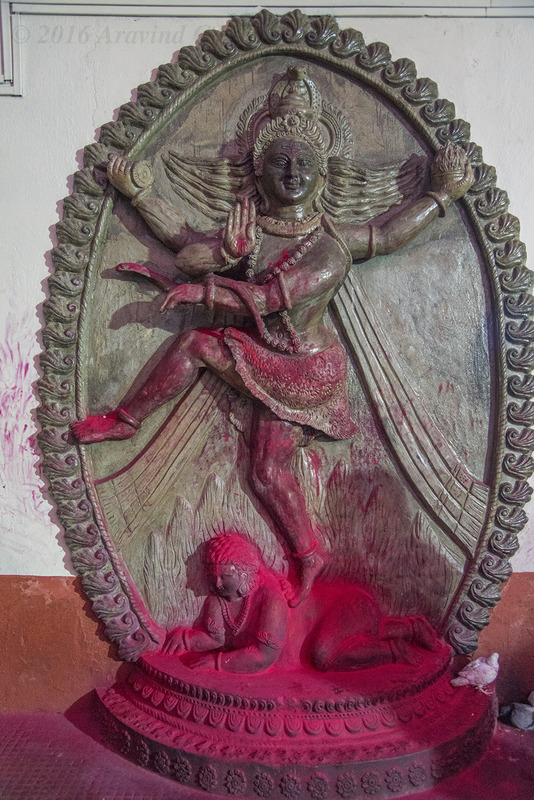 It is also one of the oldest Shakti peetas. It was already dark when we reached the parking lot. A short walk on the narrow streets surrounded by shops selling puja stuff led us to the entrance of the temple. Historically this temple dates back to 8th century. It was destroyed during Hussien Shah attack on Assam in 15th century but was rebuilt few years later. While I do visit lot of religious places, I am usually there as a tourist and not as a devotee. I like historical significance and architectural marvels in those temples. But I detest standing in the queue for hours just to have a glimpse of the idol. The result is though I visit the temples, many times I do not go inside the main temple. 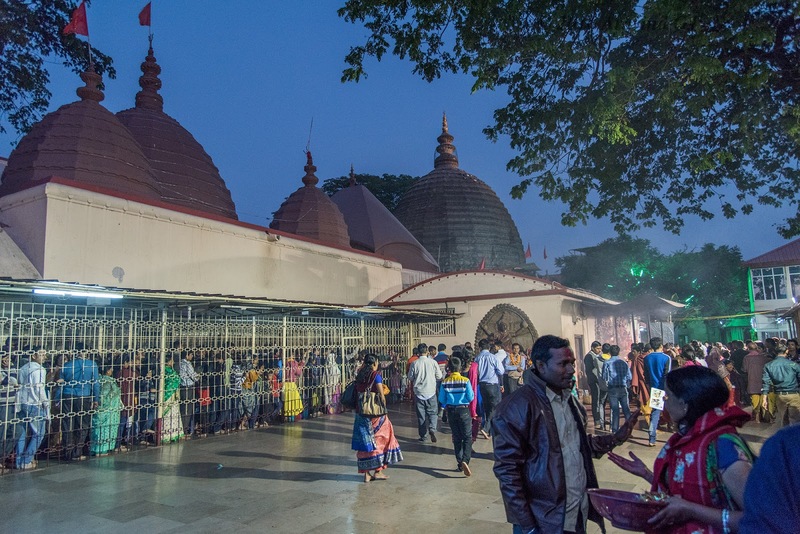 The crowd in Kamakhya temple was not large but the queue was long and slow moving. We decided skip entering into the main temple. We spent a long time at the statues of the god outside the temple. The temple also has small auditorium like structure where one can sit and get a good view of the surroundings. Nice to know more about this temple.